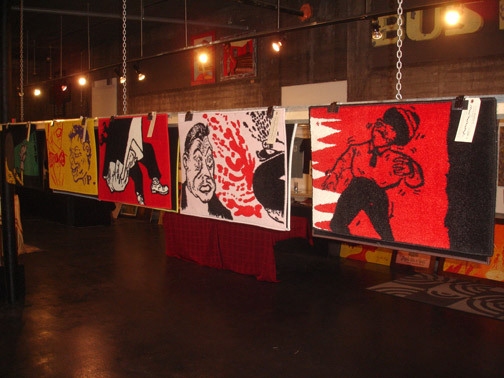 Mark Mothersbaugh's custom art rugs on display at InsideOut Gallery. Photo by Michael Pilmer. Please don't use w/o permission.